The X2 features a lighter, 2-bolt handlebar clamp that was originally conceived as a road-only design. 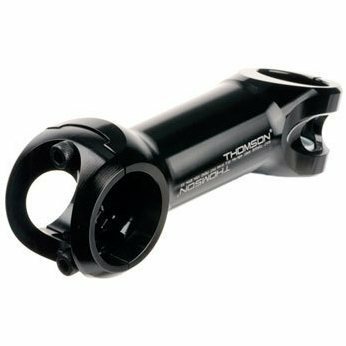 In our testing we found that the 2-bolt handlebar clamp, with its patent-pending interlocking faceplate, is strong enough for mountain bike use, despite being 50 grams lighter than the Thomson Elite 26.0. The X2 is ride tuned for the road to eliminate harshness, and has a narrow front end that allows for easier use of aero bars. The Elite X2 is a breakthrough stem and will be a classic.